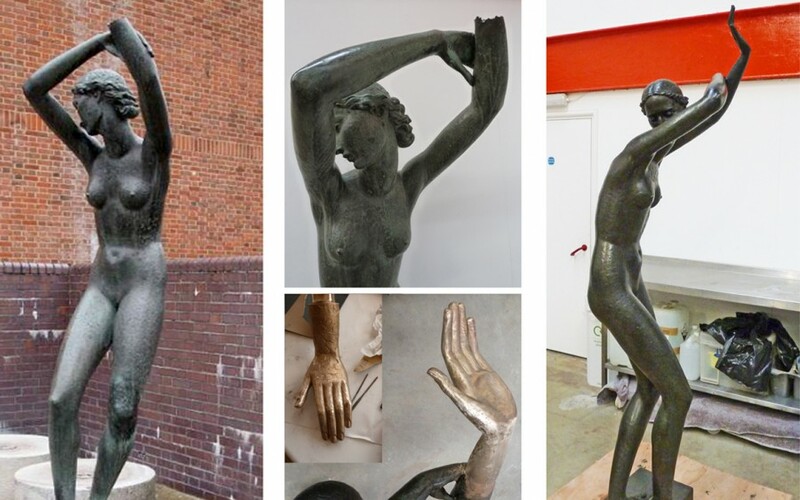 Watford town’s beautiful Dancing Woman sculpture by Charles Dyson-Smith is almost ready to be returned to public display after having her missing hand replaced. The new hand was first sculpted in wax before being cast in bronze, re-attached to the figure and patinated. 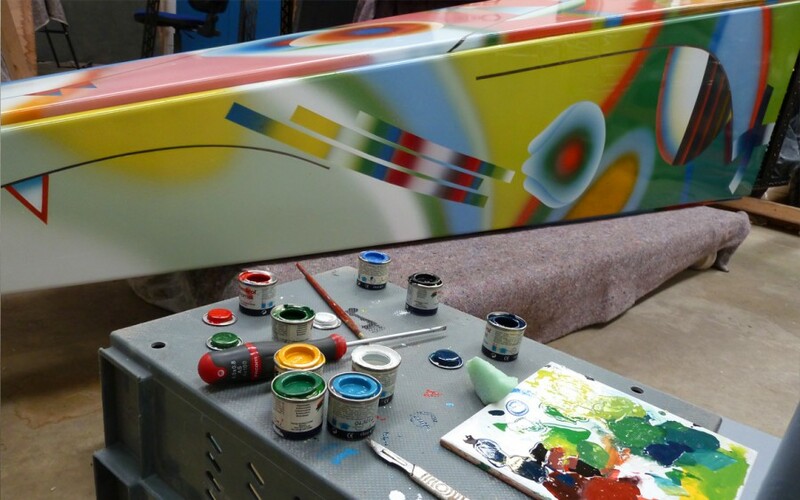 There are just a few finishing touches are left to be done before she is ready to return to the town. The sculpture will be placed away from her previous site in The Parade to a more suitable spot in gardens at Cheslyn House. Having finished the annual cleaning and maintenance of sculpture at Warwick University Campus work is underway to conserve and mount some colourful new additions to their impressive collection.